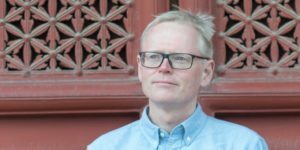 Religion in China is on the rise, shows journalist Ian Johnson in his book The Souls of China: The Return of Religion After Mao. China’s outbound investments in the One Road, One Belt (OBOR) or Belt and Road Initiative (BRI) program illustrate that change in China’s leadership’s approach to religion and image-building at home and abroad, he says to Indepthnews.net. Against this background, Chinese President Xi Jinping’s One Belt One Road (OBOR) initiative, also known as the Belt and Road Initiative (BRI), unveiled in 2013, has provided the countries of the wider region with a new challenge as well as a unique opportunity to fast track their economies along the path to development. An investment bonanza is being made available under the BRI, especially for the countries along the ancient Maritime Silk Road. According to Ian Johnson, author of The Souls of China, President Xi Jinping has embraced religious faith as part of his “Chinese Dream” and the “Belt and Road Initiative”. The nominally atheist Chinese Communist Party has now recognised that religion in Chinese history was a powerful tool in domestic governance and international diplomacy. For Xi’s “rejuvenation” of the Chinese nation and national culture after the “Century of Humiliation”, this mix of faith and politics constitutes a “re-imagining of the political-religious state that once ruled China”. When Xi Jinping’s father, Xi Zhongxun, was head of the party’s religious work beginning in 1980, China’s Central Committee issued the famous Document 19 warning party members against banning religious pursuits because it would isolate the Chinese people. Ever since, China has been restoring places of worship destroyed in the Cultural Revolution.